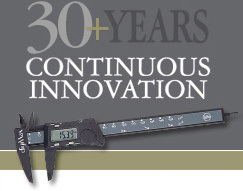 ESI has the widest range of standard equipment in the industry. 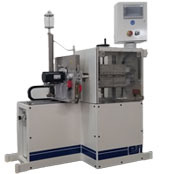 All of our equipment categories are offered in multiple configurations and with a wide range of standard options allowing our customers to choose the precise machine package to meet their processing requirements. With ESI, choosing a standard design doesn't mean limited functionality. ESI realizes that in the modern manufacturing environment it is often in the customer's interest to obtain equipment that is modified or custom designed to fit their exact needs. Our large design-engineering department, in conjunction with our in-house control programming capabilities, can provide custom engineered solutions to meet the demands of the most challenging processing applications. ESI engineers work hand-in-hand with the customer's team to ensure the equipment is designed to meet the precise requirements of the customer's process and operating environment. Outstanding customer service every step of the way! ESI strives to be your single choice in downstream equipment and we understand that to do that we must ensure your satisfaction throughout the entire machine purchase process. From your first contact with our sales engineering staff, through the machine build process and into the future with parts and service our goal at ESI is to surpass your expectations. 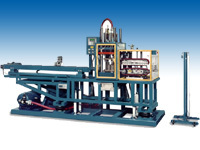 ESI's Accupunch series of in line fabrication equipment provide the ability to perform numerous fabrication functions such as punching, cut-outs, notching and multi angled end cuts in the extrusion line with superior accuracy and repeatability.